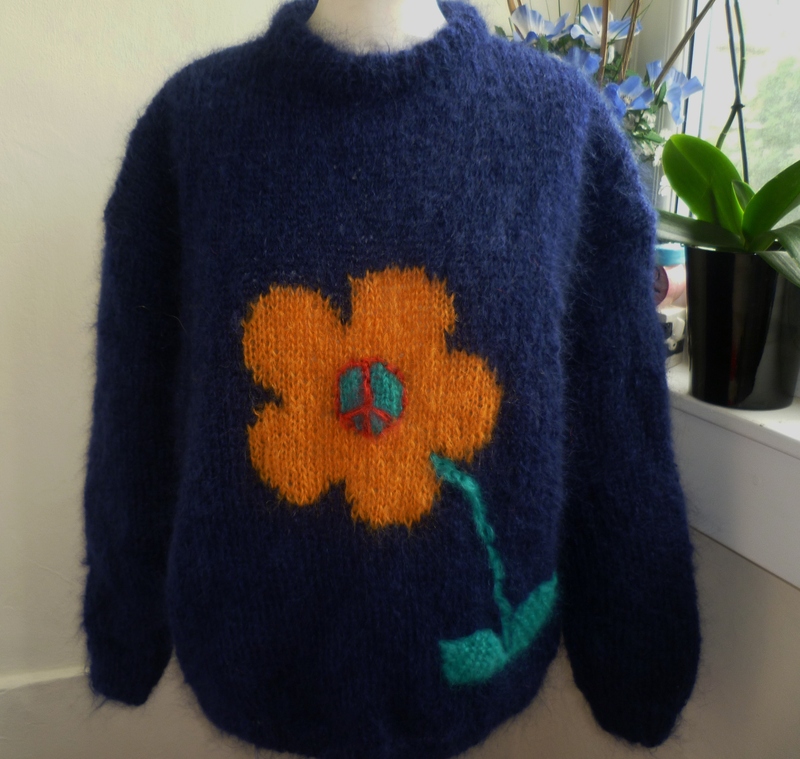 As the sunshine breaks through in between the short bursts of cooling rain, naturally your thoughts, much like ours turn to hand knitted woolly jumpers. No? 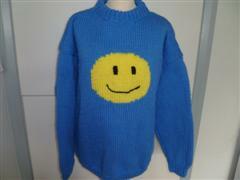 Well we love our jumpers all year round and we love you, our customers who are out their celebrating life. 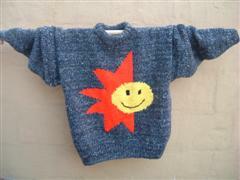 We particularly are loving how you are using our jumpers as billboards for the way you feel, come all weathers. So here are just a few jumpers featured in this little post of the way you guys are loving this weather and transforming your mood and the mood of others around you. Just look at some of these sun blest designs we’ve been churning out. These are enough to put a smile on anyone’s face and when the weather does decide to change for the worst then these little defiant beauties will certainly brighten up the darkest day. Whatever the weather you can’t go wrong with the uplifting designs on these jumpers. What a great time we’re having making these and seeing the results and hearing your feedback. Why not try and get a campaign going to start wearing these jumpers on the beach. WHAT???? Just because the sun has gone down doesn’t mean the warmth has to stop. 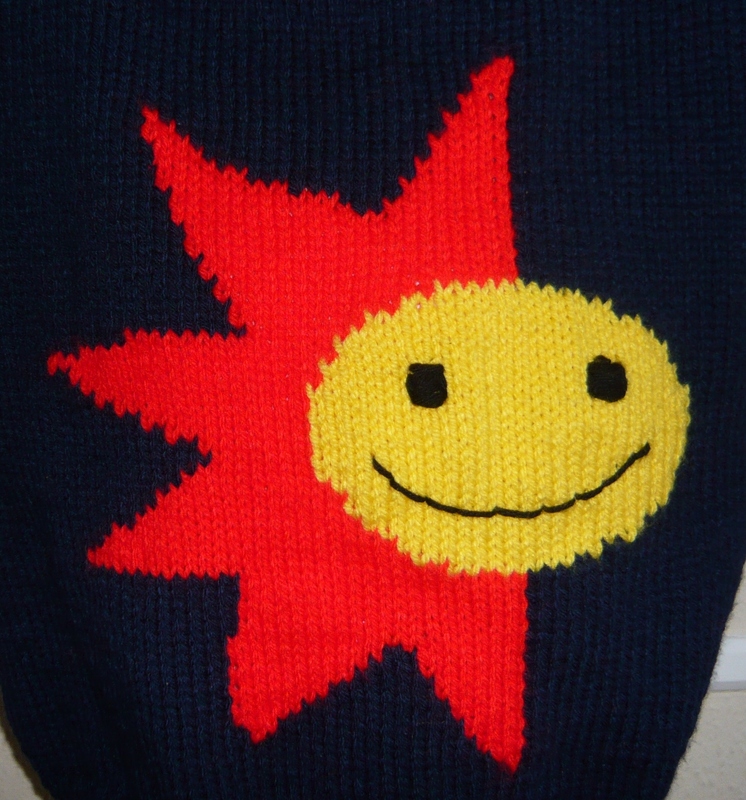 And when the weather does turn and out comes your very special summer fun jumper then rejoice in the constant reminder of great things to come.